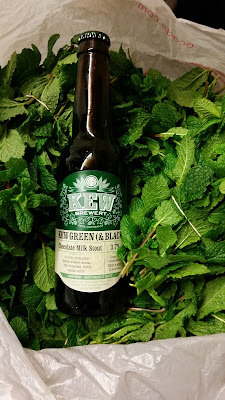 Now here's the sort of trivia that could feature in a 'craft beer pub quiz': Dave of Kew Brewery used to brew for us here at Weird Beard before setting up his own venture. It's been a long time since Dave left us. Looking back now, it's been a full 18 months that we have gone without Dave. In truth we have had his cheery self drop by for a friendly visit but we hadn't brewed together. As our world carried on without Davy, his world has gone from strength to strength with the opening and success of Kew. 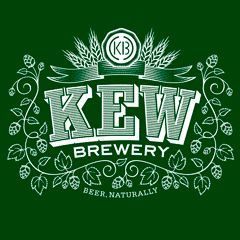 We always talked about doing a collab when Kew was up and running. 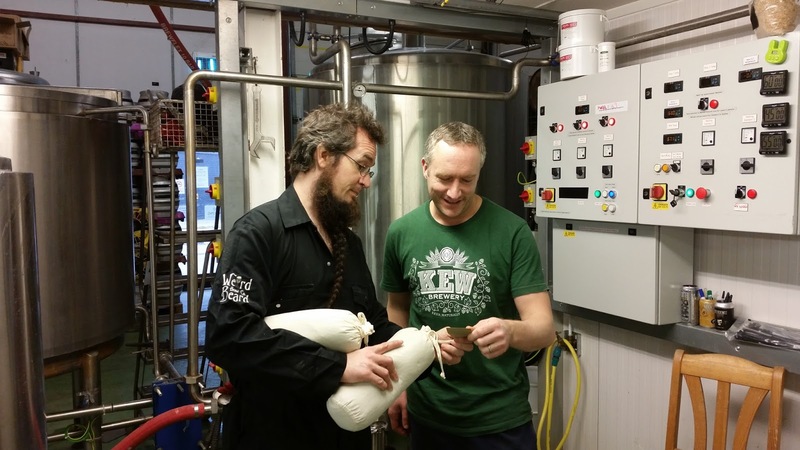 Again, the holiday period offered some free-time and a free fermenter for doing just that. 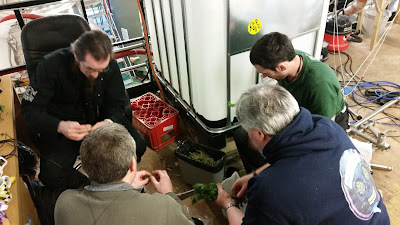 We set a date for the brewday, got a thread going and put our heads together to come up with a recipe. It didn't take long to come up with a no brainer, delicious idea. Kew have won awards for their Chocolate Porter, and us for our Milk Coffee Stout (Black Perle). What we went with was a Mint Chocolate Stout. We collaborated on the recipe, selecting the grains based somewhere between our two dark beer malt-bills. We wanted both chocolate and robust flavours but nothing too overpowering either so we added lashings of lactose. This, to give a sweet and silky body to our beer. Hop-wise we went with Perle, which we are so fond of in Black and Double Perle. 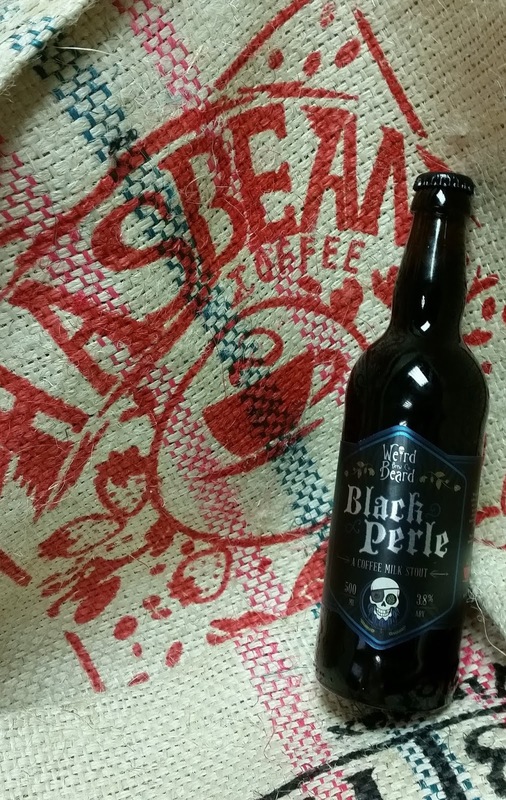 The reason it is a favourite of ours in dark beer styles is because of its slightly milky and herbal flavour. We wanted to emphasise that but also added some Willamette for its spicy character. Now for actual mint choc-chip constituents! 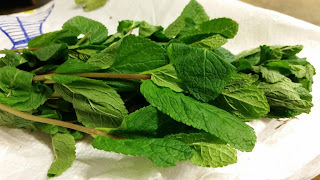 We added a load of fresh mint, which we spent a considerable amount of time de-sprigging and chin wagging whilst doing so, and cacao nibs at every possible stage. 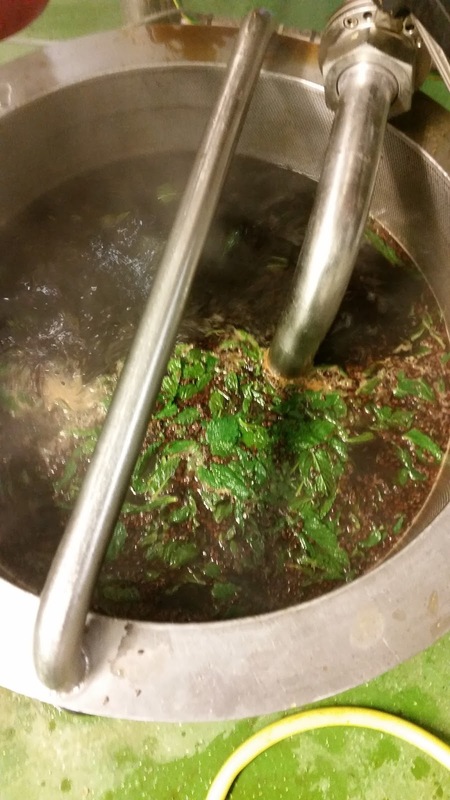 We also made a mint tea-like wort infusion, which we added into the underback, to really amp up the sweeter mint flavours and help in layering them. During the conditioning phase of the beer, we did more of the same but also adding a cold brew of cacao. In doing so we aimed to get a deep mint-chocolate flavour that lingers. If the recipe and collaboration wasn't fun in enough, we really got into the naming this beer. When Dave used to brew with us, we had some fantastic soundtracks to our working day. As most of you may know, we at Weird Beard have a history of naming beers with nods to some of our favourite bands/songs also. When it came to this beer, music was our first port of call for inspiration. Bryan discovered Carter USM's "A World Without Dave" on his iTunes and it made 100% sense that this was what we rolled with. We whole-heartedly suggest you play the tune, grab the beer, drink & enjoy. A World Without Dave is so much easier to bear with this brew in your hand. Debuting tonight at the harp in London if you fancy.